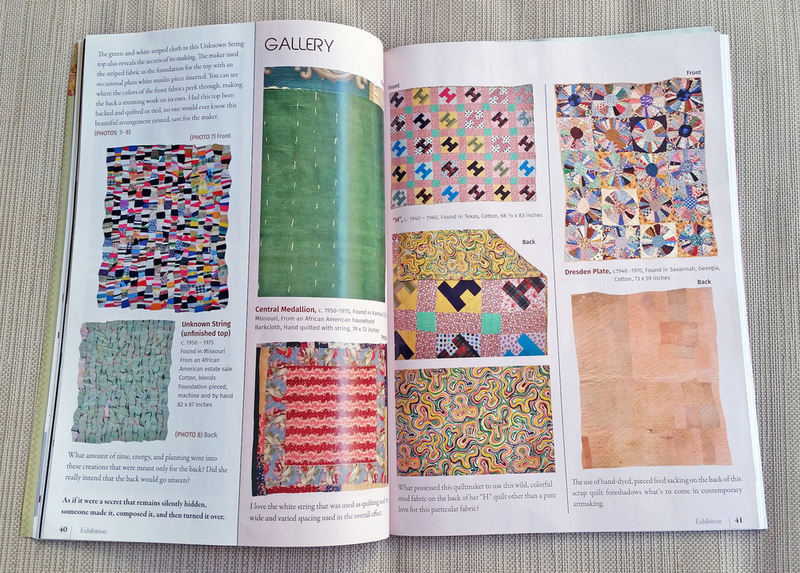 I am thrilled to share that Quiltmania has featured my article, "What's on the back?" in its January/February 2016 issue. The two spreads are beautifully laid out and include the front and back pairs of some of my favorites. I love seeing them in conversation with each other like the Crazy Log Cabin, variation's repeating pinks, reds, and violets and the soft hues in the back of the Dresden Plate quilt. Check out the issue to see more! — Roderick Kiracofe, "What's on the back?"